I would love to find these to finish some of my sets! Please send PM or email. Thanks in advance! 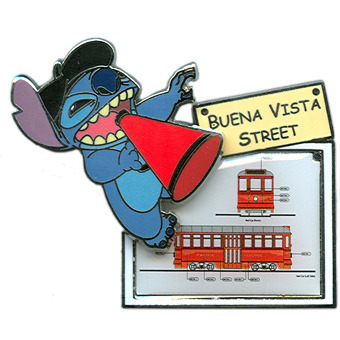 ^^(I Am willing to Pay for this pin if anyone has it) I have the rest of the Collection, but I heard this one was so hard to find. This is the last ONE out of twelve we are needing! Huge thanks to AverysFairyTale for the "heads-up" and to Jackfan33 for helping my husband out with 3 of them! I need this last one to finish off my set of Disney Dreams. PLEASE someone help me out. Since the last time I posted on this thread I have actually completed both of the sets I was after. Any help would be faaaab!!! Along with the 4 above, I really need the ones in my signature to finish the 3 major sets I'm hunting for.... can anyone help me??? Since I posted this I have completed this set and one other - thank you Laz - I now would love to finish off a few of my grails. I have 12 pins of this 13 pin set. This is the only pin that I need to complete this set. I need these to finish this "set"
I would love to finish off the Star Wars Magazine set...unfortunately i can't seem to get my hands on any of these, any help would be awesome! I have all three of the alice pins you need above. I posted to this thread a while ago, and have since found many of the pins I was after. Just a few more to finish some sets! I have been waiting this box set for years if any one can help me that would be wonderful! Rapunzel reveal conceal princess pin.